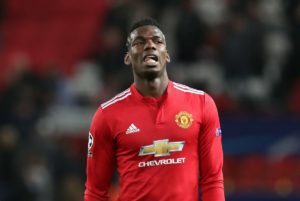 The former United player brings us his latest diary looking at Ole's appointment and Pogba transfer rumours. The other week on my way to Manchester on the train, I was approached by another passenger who was shocked and excited that I was reading a book. He claimed he had not seen one in a long time, as people are normally attached to electronic devices. I agreed with him, but didn’t have the heart to tell him that I had resorted to a paperback because my own electronic devices had ran out of battery! Speaking of electronic devices, it does make me laugh how humans are now even behaving like them. A friend of mine performs at weddings as a singer and was performing at a wedding breakfast. Throughout his set an man kept walking up to him, as if he were an Alexa device, shouting at him to play certain artists! Safe to say he didn’t pay him that much attention! I saw that a lot of people online were saying that appointing Ole was a gamble. But I think any manager is a gamble. For me one of the main issues with our last manager was his assistant, and I get the impression that Jose Mourinho really missed Rui Faria this season. If you look throughout history, managers always have a strong right-hand man, somebody to argue points with a manager, it’s someone they can trust. Mourinho’s assistant was somebody he could bounce ideas off that would give him a strong opinion back and I think he missed that badly, with the two having worked together for over 15 years. However, with the new manager I hope this won’t be an issue. Ole having Mike Phelan alongside him, who don’t forget was at Manchester United for a very long time, will be a great help. Although he hasn’t been confirmed, I think his presence will be extremely important. 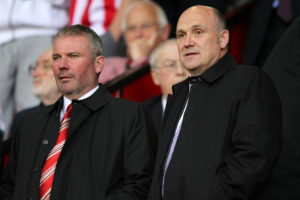 Phelan not only has great experience under Sir Alex Ferguson, but I believe that he is somebody Ole can trust. I hope he gets the appointment as I know that if I was managing United I would want Phelan alongside me. With some disappointing results last weekend in the Premier League that raised some suspicions regarding decisions not going a certain way, I think the topic of VAR has come up once again. VAR is bound to come in, and there are imperfect situations even with the technology, but it will clear up some controversy and other discrepancies. There’s always going to be debate, especially on penalties. We have to remember that referees and linesman are human, and we have to accept this. When I was refereeing I always told kids that the referee was always right, even when they’re wrong. However I think with VAR penalties and offsides will be the most important thing and people will adapt and improve to the technology. For me, I think ex-players should be involved with VAR. They have watched enough football and are aware of the rules and being able to use those expertises. Me personally, with 53-years playing and watching football I think VAR would benefit from that type of experience and knowledge, however I think I’ve got enough people shouting at me so maybe a career in VAR is not on the cards! I think Zidane has been really clever with what he’s said, however ultimately it is up to the player. This is how Madrid do business and I think Pogba would do well in Spain. Of course, if he goes you don’t want to lose a good player but there’s no point keeping someone at a club if they’re not happy. However, it’s the other Spanish giants we have to keep our eye on with Barcelona looming. I’m looking forward to the game, however I thought Messi would have been injured but he’s been getting a lot of goals recently, the guy has a bad habit of putting the Barcelona shirt on! RedArmyBet ambassador and former United player Brian McClair gives us his treble ahead of this weekend's fixtures. The former United player brings us his latest diary looking ahead to Barcelona and looking at captaincy issues.